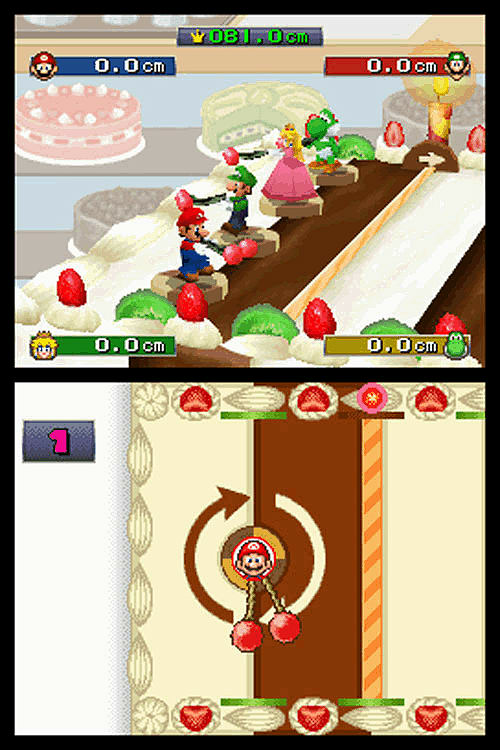 The Mario Party franchise which has done so well for Nintendo on the N64, GameCube and Wii has made its way to the DS. 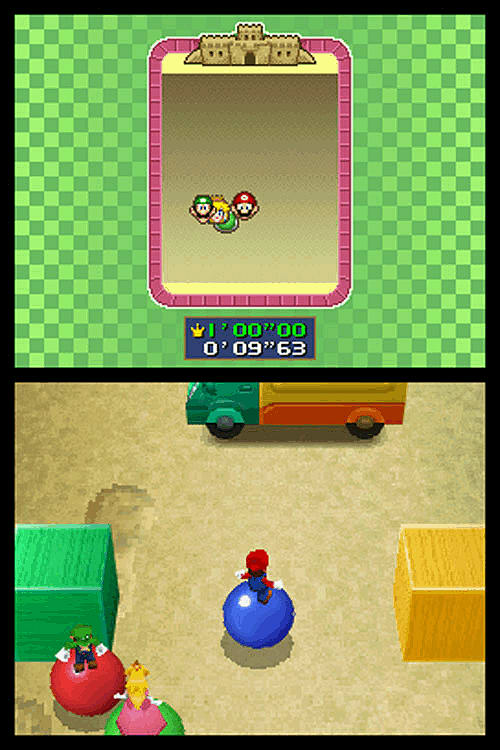 In keeping with the DSs compactness, Nintendo has aptly opted to make the theme of the game being of restricted height. 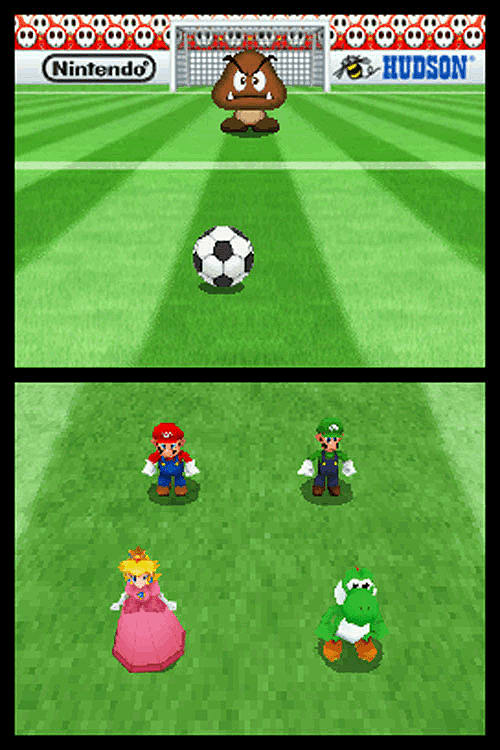 Mario, Luigi, Princess Peach, Yoshi and the crew have all been shrunk down by the maniacal Bowser. To rectify the situation, the gang has to make it home, grabbing the five crystal pieces that will get them back up to size as they go. 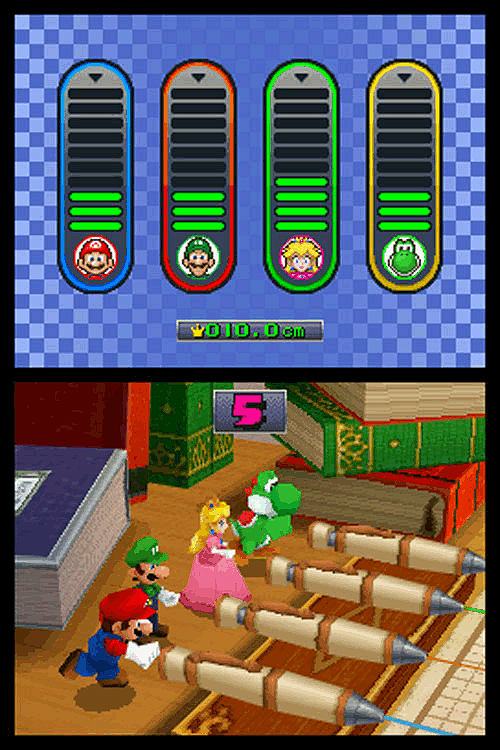 Such is the glue that binds Mario Party DSs single player story mode together. 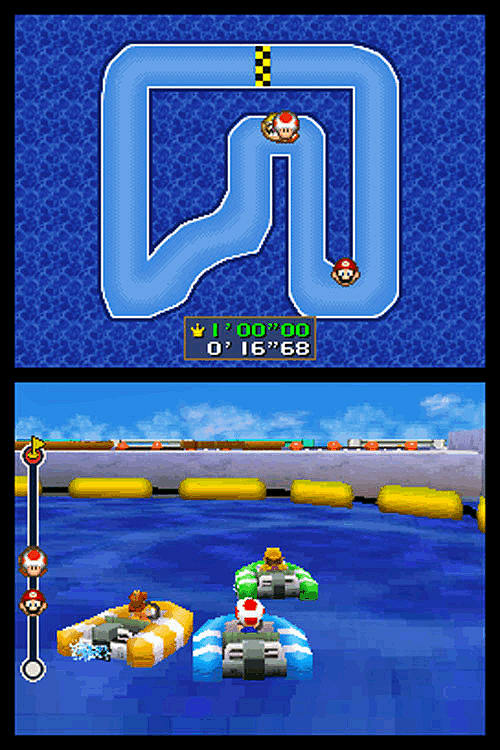 As they go, players will have to make their way through various areas, completing minigames (there are over 70 in total) as they go. 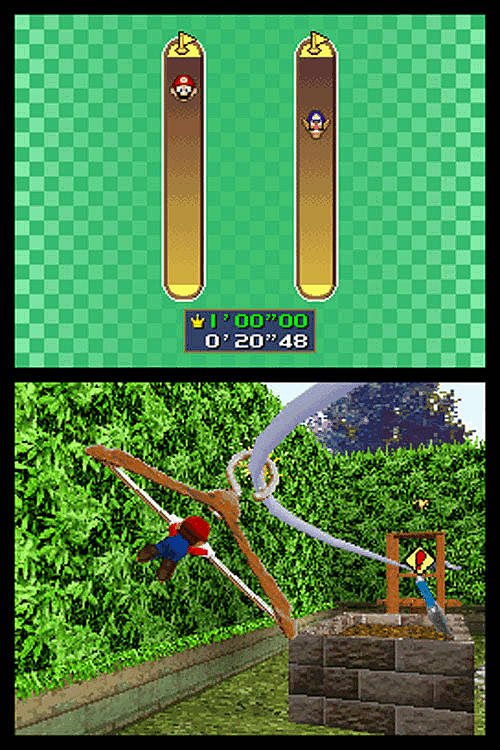 As you'd expect, many of the games make use of the touchscreen and stylus, but you'll also find a few that use the old fashioned buttony bits and the DS microphone.